Actress and singer on stage, in film, and on TV; the original Lilli Vanessi in Cole Porter's Kisss Me Kate (1948)! -- via the Hollywood Reporter. 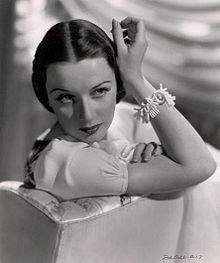 In film, she was notable as a villainess in such films as Calling Dr. Death, Dressed to Kill, Tarzan and the Huntress, and Song of the Thin Man.